Not content with banning fire, California has voted to ban water in the state by 2030. “For far too long California has used water to the detriment of the environment” declared its governor Jerry Brown. We have wasted water on our lawns. We have wasted water on ourselves. We have wasted water in our toilets. We have wasted our most precious resource. No wait. California’s most precious resource is kale. Water is our second most precious resource. No wait. I’m sorry. The Kardashians are our most precious resource. Kale is second. Water is third. Anyway with climate change our greatest threat we can stop climate change in our tracks by not using water. No wait. I’m sorry. Red state Americans, those deplorables, are California’s greatest threat. They just don’t share our values. After the deplorables is climate change. And our scientists assure us the best way to fight climate change is to not use water. Water heats the environment. This is science. Why do you think our deserts are so cool at night? Obviously the lack of water. Therefore we are phasing out water. By 2030 California, the most progressive nation on Earth and its fifth largest economy shall be water free! Beginning in 2025 Californians shall be restricted to 50 gallons a day. This shall be reduced every year until water is phased out in 2030. “Do you really need water for a shower?” continued Governor Brown. No you don’t. You can use juice or marinara sauce. Now how you’ll tie the marina sauce into your home’s plumbing system is not my concern. Just do it. Ditto with water for flushing toilets. Use the marina sauce. Or some chocolate. And don’t get me started on needing water for your lawn. You do not need grass. A lawn is white privilege. The peoples of color have no lawns. They don’t seem to mind and neither shall white people. Having banned fire and now water, Governor Brown is confident that oxygen will be next. It is a scientific fact that our atmosphere causes climate change. Oxygen is also a major cause of fire, which we have already banned. Once oxygen has been banned from California we will have the world’s only 100 percent anti-climate change environment. People will flock to our state just to feel good about themselves. Tourism shall increase and the world’s fifth largest economy will only increase. California shall be paradise on Earth, minus the climate-changing fire, water and air. The governor then addressed how he expects Californians to not use oxygen. We have our best engineers at Silicon Valley working on this. While is it still in the testing stages they seem to feel that a combination of software chips implanted into our brains and removing our lungs and replacing them with hardware similar to a CPU fan will accomplish the effect. Naturally those serving in California’s legislature shall be exempt from this. The governor is also not worried about a black market developing for water and oxygen. Editor’s note: Do you think I, Manhattan Infidel, would make this up? Water? Yet another White Supremacist construct, like oxygen. I always thought California’s most precious resource was Kimchi. Hunh, live and learn. No. 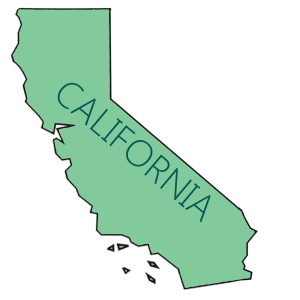 California’s most precious resource is…….um…….actually is it too late to sell the state back to Mexico?